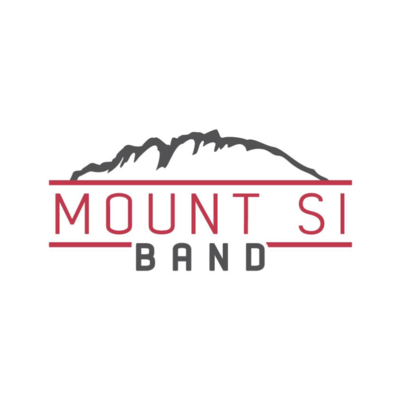 Help Mount Si Band And Orchestra Boosters Share the Music! Donations will support all ensembles in the Mount Si Instrumental Music program. Funds raised help subsidize costs for retreats, travel needs, and instruments repairs. Making music is a communal event. By sharing the load of this expensive passion, we can assure that all students enjoy a full and meaningful musical experience. Mount Si family , friends, and fans - Thank you so much for taking the time to view our Booster fundraiser page. Your support will help us offer a higher quality band experience for all our kids. Your donation is tax deductible and you will be getting a receipt for your gift. If you could please spread the word about our fundraiser by sharing it with your friends on Facebook and Twitter we would greatly appreciate it. Here's to another great year of Wildcat Band Boosters! Tax deductible Receipt in your email! Help send a student to play at Pearl Harbor. Helps purchase new Jazz Band music.. Covers the cost of renting an equipment truck for retreat. Covers a repair for one instrument. Helps a needy student attend marching band camp! Helps feed our kids at long events! "From your magnificent sister, Eryn. You owe me one." "Brody will you have a solo at the next concert?" "Enjoy Hawaii with your professional orchestra with love"
"So excited for you all!" "Hi Nathan! We are so proud of you!" "Have fun, James! Love, Cousin Elizabeth, Ryan and Liam"
"Keep your beautiful talent for music flowing Sydney!" "Love to see you share your musical talents Sydney!" "Thanks for your dedication to your music, Audrey! Your gift and talent will lift many spirits in your lifetime!" "Good luck with your project. " "Good luck with your fundraiser! Love the Murphy's!" "Good luck with your fundraiser! Love the Murphy's"
"Happy to help Ethan! ~Maia"
"Samuel you are the best!" "Forever Music ! Give 'em both French Barrels, Teah. YaY Seniors 2019 !" "Shira, Happy to help you raise money for this good cause!! Bubbe & Pop"
"Glad to help you toward your goal, Candace! Love, Papa & Gma"
"Lots of love from Grandma and Grumpa Doig." "Good luck with the fundraising! Love, Auntie Mae, Serena, and Nikos"
"Hope you get your goal. James"
"Good cause Liann. We're very happy to support your band and orchestra." "Enjoy your senior music adventures! Carol & Len"
"Keep up the good work, Audrey, and have fun in Hawaii." "Being in the band is a great opportunity for young people." "Keep up the good work Katie! - Uncle Darren and Auntie Eileen"
"You go girl!! Proud of you Bella ❤️"
"So proud of you, Analise - this will be a great trip!" "Love you Aubrey........ Gpa and Nana"
"Good Luck Kaitlin! The Mount Si Band is amazing!" "Best wishes on your fundraiser!!" "You are on your way to meeting your goal Kate! " "Good luck on meeting your goal Logan Chiodo!" "We'll keep the music playing!!!" "Love the Mt Si Band!! Keep doing what you love!" "Mount Si Bands are awesome!" "We love you so much. Keep up the good work. Grandpa and Grandma"
"Love this program! These kids are truly amazing at what they do!" "These kids work so hard and are AMAZING! "